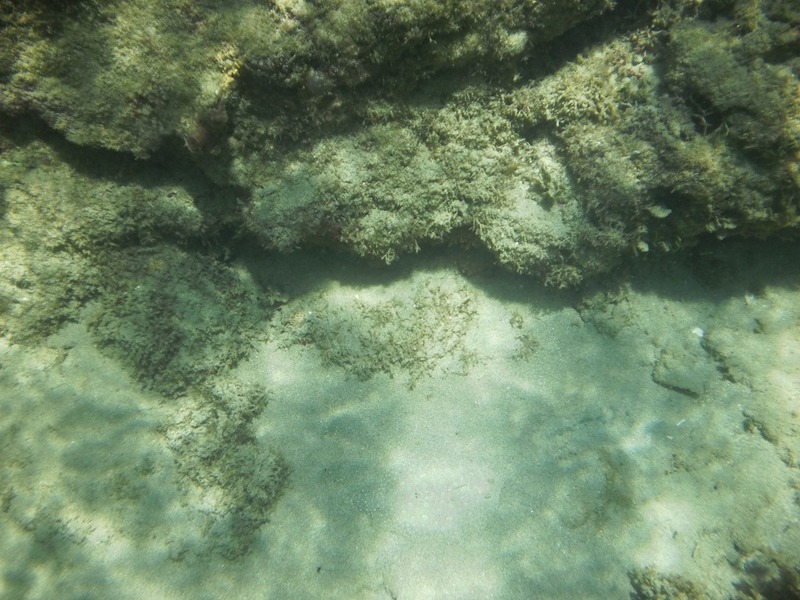 September and early October are by far the best months to snorkel on the Caribbean side of Costa Rica. 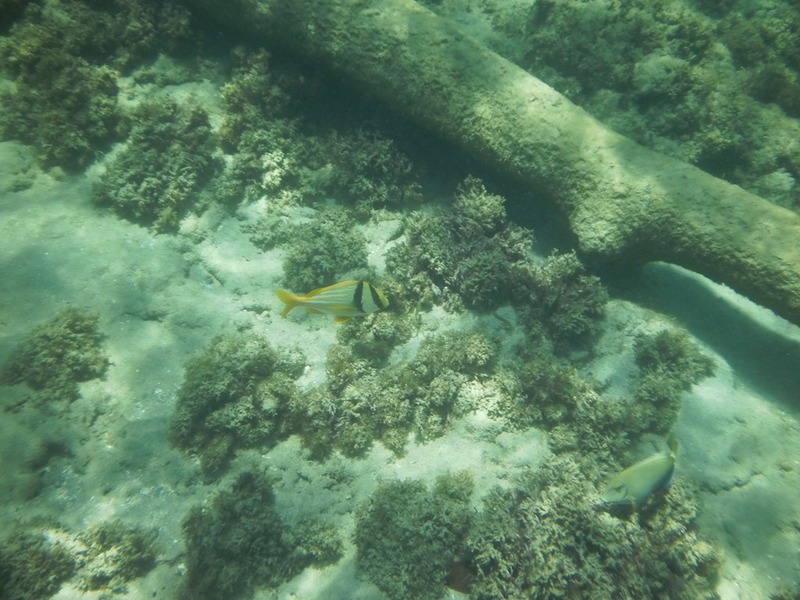 We try to go whenever we can and are getting better and better at taking pictures of the fish and the reef. Here are a few from yesterday…………….. 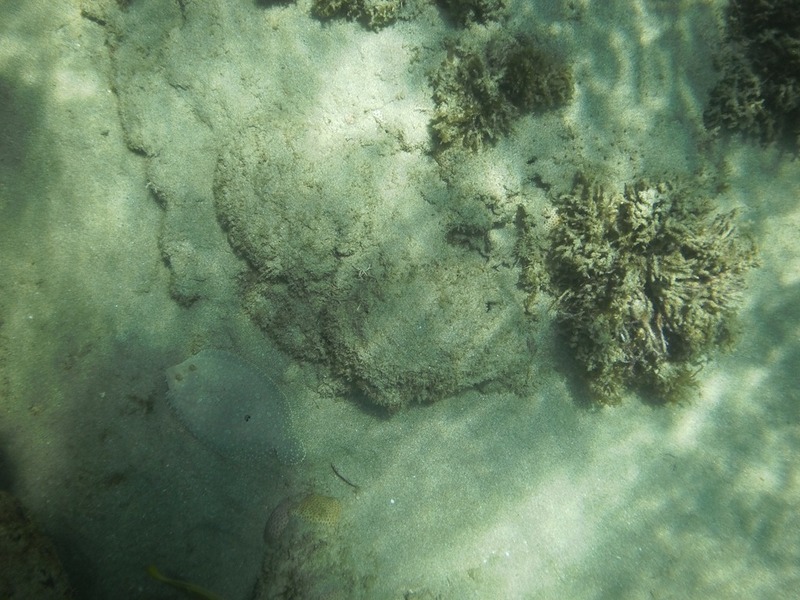 This fish is camouflaged by the sand but you can see it in the lower left hand corner of the picture. Same fish but barley there. 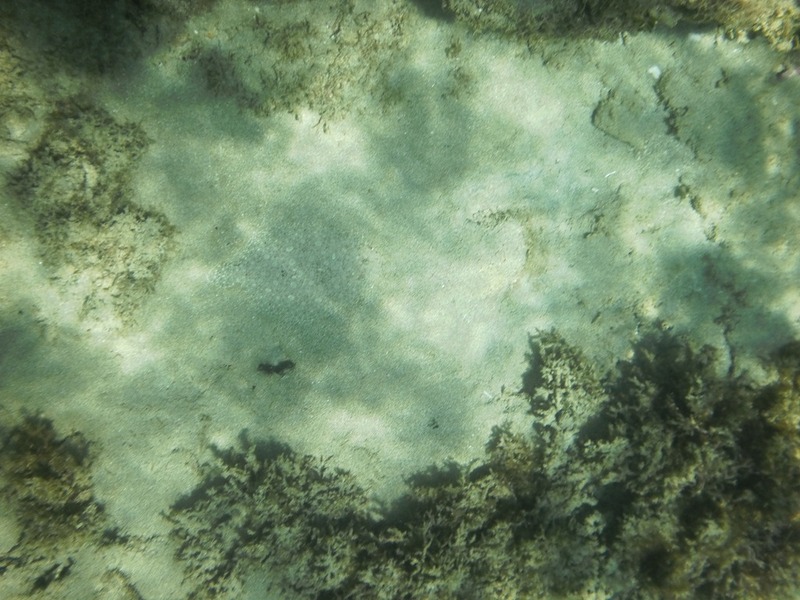 It is in the center of the picture – note the two eyes. Here it is barely perceptible. It is in the lower center of the picture but very hard to see. 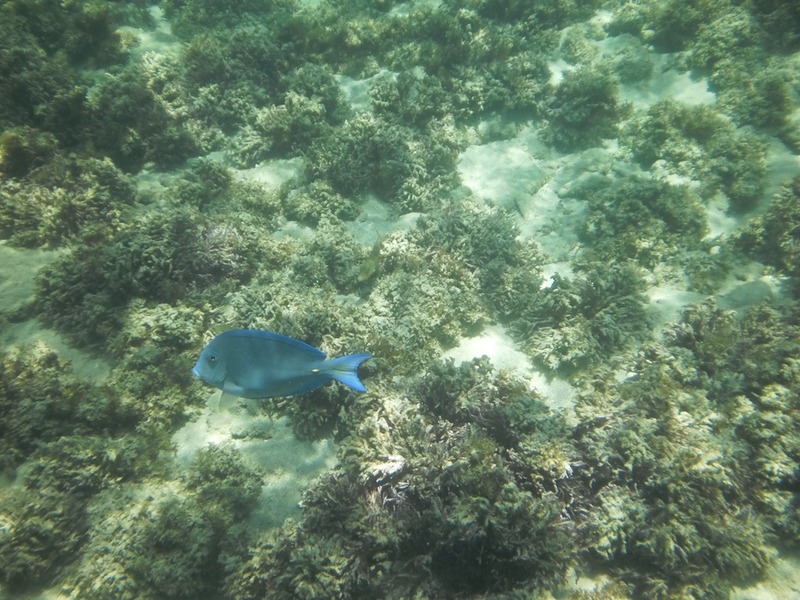 Pretty blue fish – these are all over in varying sizes. 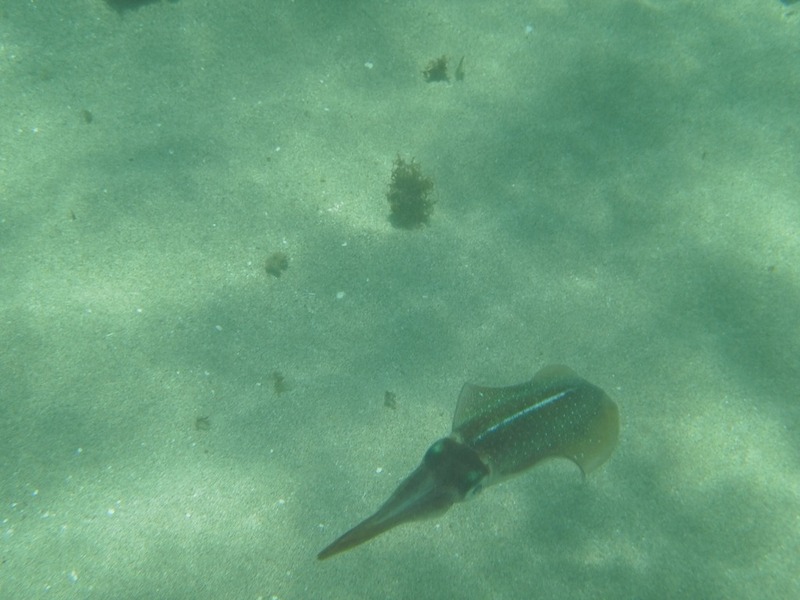 A squid – the water was a bit cloudy here but I watched about six of these just meandering about the area. The photo doesn’t do it justice – they were a mixture of fluorescent colors. Very cool!! 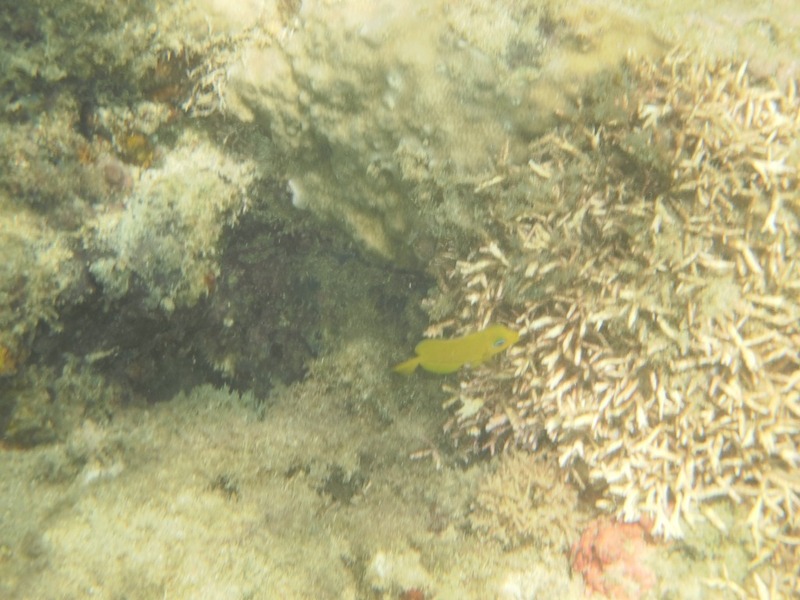 A tiny yellow fish – I haven’t seen much bigger than this.